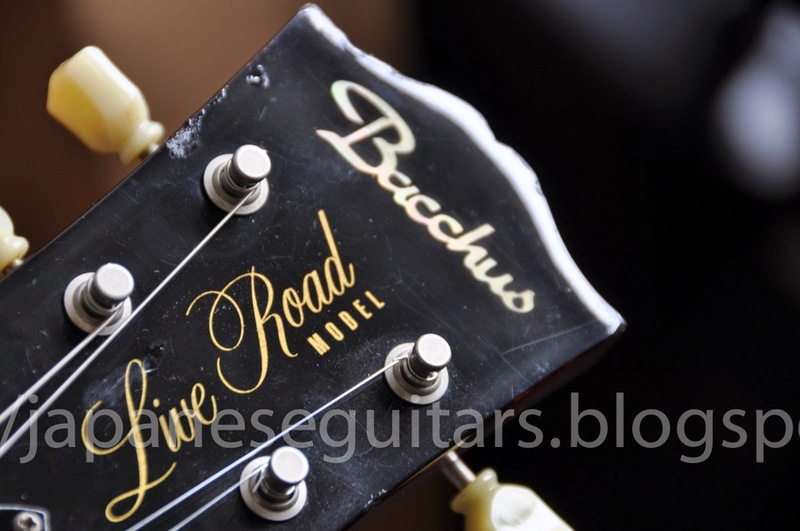 This Bacchus Live Road is the oldest one I have seen up close. 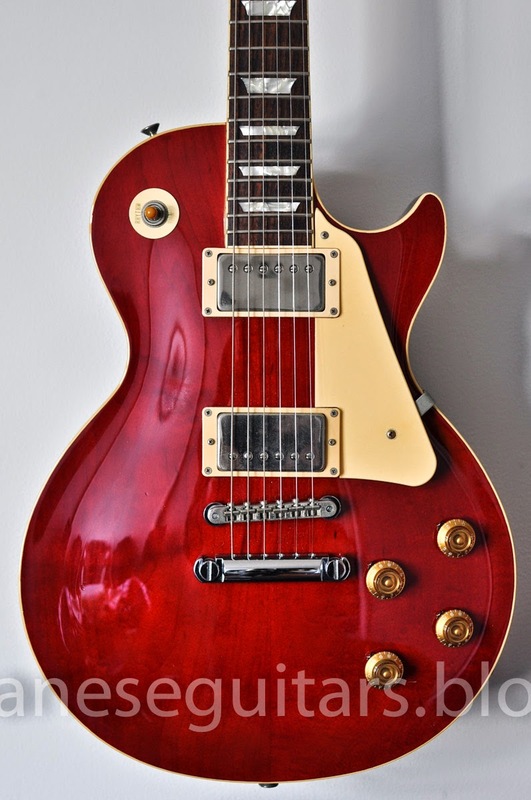 There are a few things that make it different from the later Vintage Series models including lack of serial number and a medium offset tenon. I am not sure if it is a BLS-95 or earlier but my understanding is that the BLS-120s onward would have had a long tenon and generally had serial numbers. Two-piece maple top with a 1-piece mahogany back. 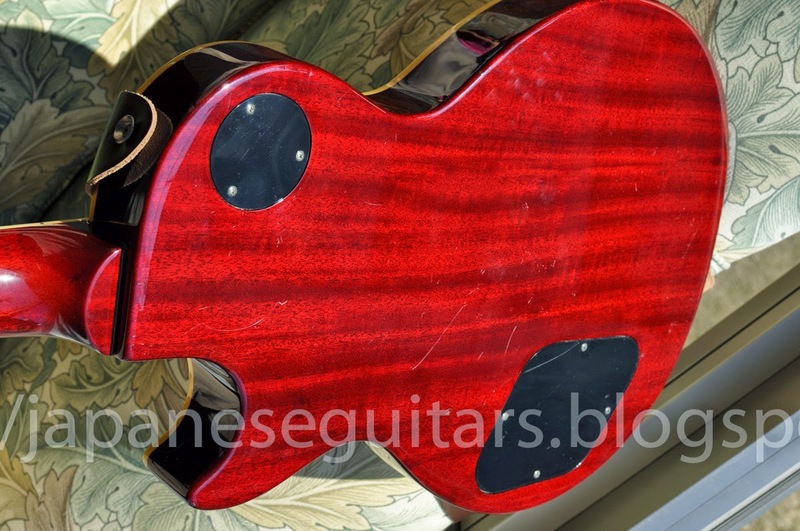 The guitar was finished in lacquer. 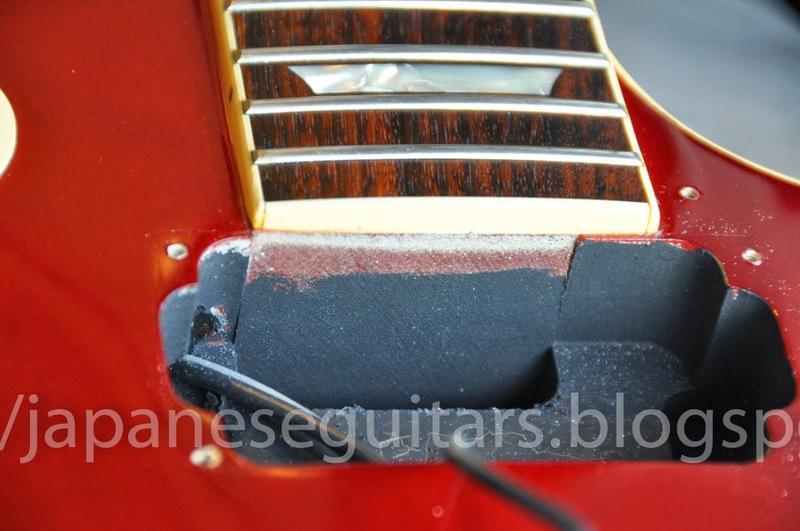 I switched the larger Gotoh bridge for a Tokiwa vintage style ABR. 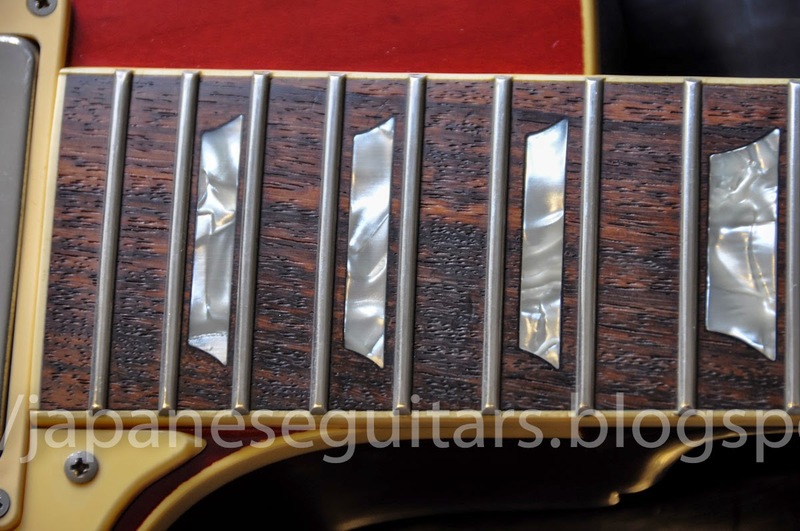 Decent fretboard wood with some nice looking inlay patterns. 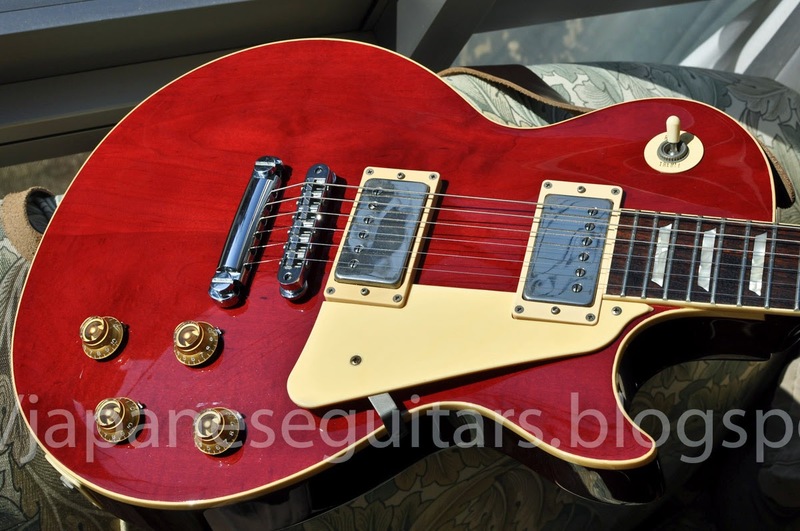 This had jumbo frets unlike the later BLS-59 guitars. 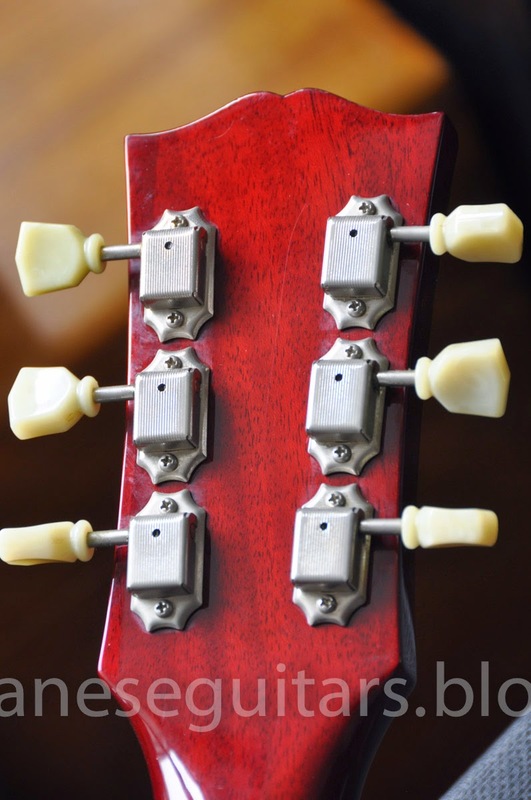 You can see some of the chips and scratches on the headstock but there was no headstock finish clouding like with some of the later BLS-120 models.